As a financial advisor, where do you want to be in six months? At this time next year? What about five or ten years down the line? Helping your clients reach their long-term financial goals requires always keeping an eye on the past, present, and future. The same is true for building your success as an advisor. What steps are you planning to take in order to grow your revenue? To diversify your marketing efforts? To increase your business? Are you consistently setting new goals and benchmarks for yourself, or recycling the same objectives again and again? Wherever you are in your journey as an advisor, it’s important to think about where you plan to go – and what the best avenue is to help you reach your chosen goalpoint successfully. Now, achieving all this may be easier said than done, particularly when you’re in an environment that doesn’t prioritize forward-thinking innovation, goal planning, growth, flexibility, and independence for advisors. For instance, many of the old school brokerage firms out there put restrictive shackles on advisors. They rely on a strictly established hierarchy which can prohibit growth, freedom, and flexibility for advisors. In many ways, this rigid level of control and oversight can actually hinder advisors’ ability to grow their practices and serve their current clients. FourStar Wealth Advisors is different. Headquartered in Chicago, we’re an independent firm without the obvious conflicts of the old school firms. And for advisors? We believe in giving you the freedom to build your brand and your business, your way. Why? Because it’s your business – not anyone else’s. For advisors, FourStar offers enhanced goal planning, to help you achieve your personal growth objectives. It takes a professional and financial risk to be independent, and you deserve the freedom to deliver the services you want, structure fees and payouts in a way that you feel is fair, hire who you want and when you want, and build your brand without the restrictive compliance handcuffs that come with working at a large company. At the same time, we offer unparalleled tools and services to help you achieve your professional goals. At FourStar, you’ll have access to a knowledgeable community of advisors, facilitated through an advisor engagement program. This allows advisors to discuss the current problems facing their practice, and brainstorm practical, workable solutions. 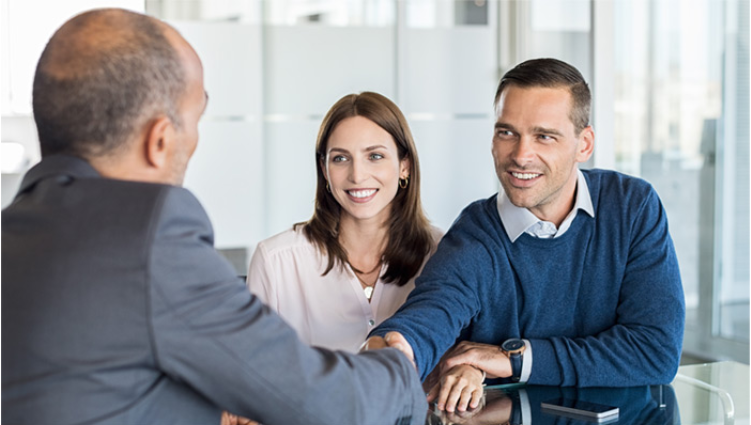 Similarly, over years of experience, FourStar has built an extensive network of complementary professionals, such as estate attorneys and specialized accountants, who can help advisors provide deep level expertise to clients, while developing important cross-referral alliances. What’s more, our firm offers a unique toolbox, which gives advisors greater opportunities to service and expand their client base. FourStar advisors have access to philanthropic advisor services, as well as cutting-edge tools befitting the next generation of wealth advisory, including a Fiduciary Executive Advising Suite, a next-level Technology Suite, and a sophisticated Financial Planning Suite, among others. We are also on the forefront of marketing in the industry. As an advisor, you should have the freedom to creatively promote your business and showcase your unique value, as you see fit. FourStar Wealth advisors can help you implement a communications strategy that works for you. Our firm can help advisors to create and use new media opportunities, providing a platform to have superior interactions with clients through podcasts, videos, blogs, and more. …FourStar Wealth Advisors can help you achieve your dreams. If you’re a financial advisor and FourStar sounds like the right fit for you, don’t hesitate to drop us a line to keep the conversation going.